Life moves fast on the Internet and as fast as new memes and YouTube superstars flash into popularity, they fade away into pop culture oblivion. 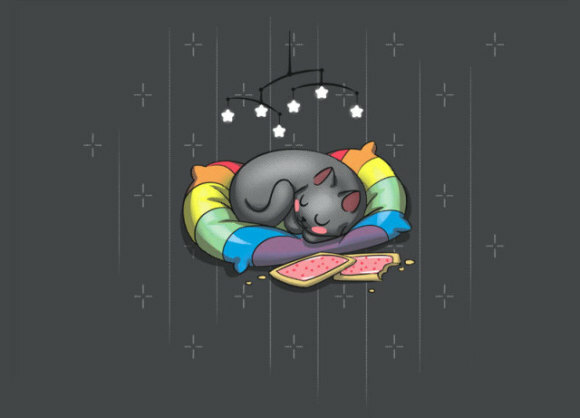 It's ironic, then, that the inspiration behind Nyan Cat, one of the most enjoyed (and to some, most annoying) Internet memes has clicked over to that great 404 page in the sky. 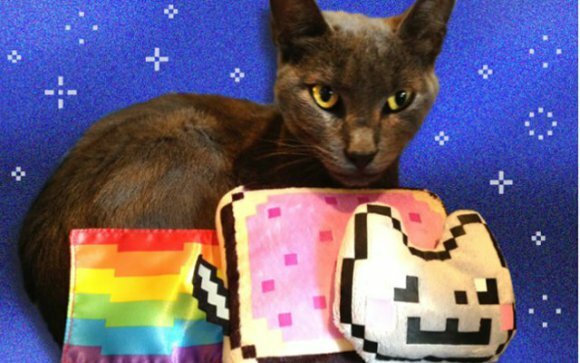 Marty, the 3-year-old cat who inspired Chris Torres to create the Pop-Tart-bodied, musically accompanied Nyan Cat has moved from meme to memory. If there's an afterlife for cats, Marty's most likely soaring through space trailing an 8-bit rainbow. According to Torres, Marty began acting oddly last week and after being checked out by his veterinarian, the diagnosis of Feline Infectious Peritonitis (FIP) was made and confirmed. “Even with the medical treatment he received, he still deteriorated quickly,” tweeted Torres. “I've been force feeding him and keeping him warm for three days,” but as FIP is both incurable and fatal Marty's sad fate was unavoidable. He succumbed at Torres' home on the afternoon of November 1st.